With Tecumseh compressor, strong power, fast freezing rate. Food grade stainless steel for ice moulds/brine tank, ice mould :10 kg to 20 kg per ice for your choice. Small size, suitable for sea food shop or small plant. High efficiency, 960kg daily production. # Add water into the ice moulds. 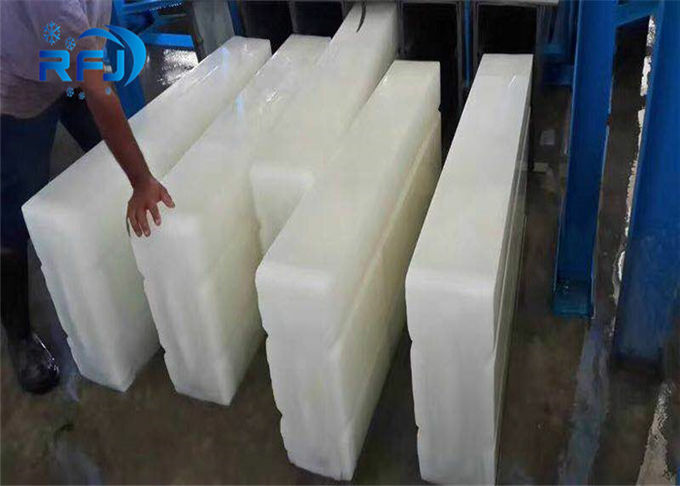 # Turn off the ice block machine, ice making time different from ice weight and thickness. 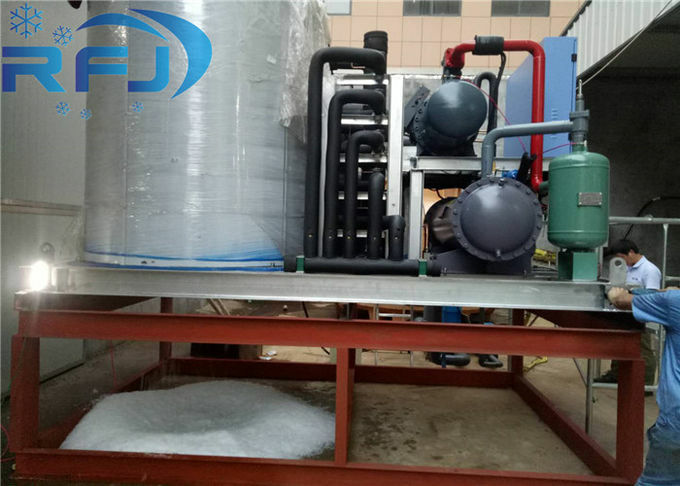 # Press the ice harvest button, hot gas will into the aluminum ice moulds, ice block will be separated from the ice moulds, then we can release the ice bed, all ice blocks will drop together. 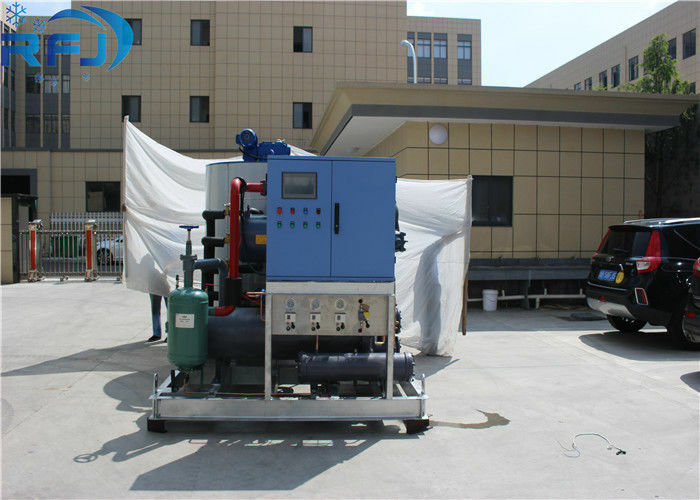 ice block machine can make ice block directly without via brine and any other pollution, so it can produce clean ice blocks even for human consumption. Without salt and other material's corrosion, Koller all DK series ice block machine with longer service life and you need just clean the ice moulds/ice machine regularly. The fucture maintenance investment is lower. Add water-ice making-wait-ice dropping and ice block moving away. DK series ice block machine need only your labor cost to move the ice blocks, all other process is automatically finished. * Please request a specification for each machine type. *Specification will be changed without any notification. As ice block machine should be installed indoor and air cooling type ice block machine is all in one design, to avoid the heating effect, suggest you install it in a room with good ventilation.